People are constantly switching their social facades as they move through different spaces. A person might be reserved in an unfamiliar coffee shop yet confident at a party among friends. The public self is a performance. I wanted to create an item that was inspired by the multiple social facades we all own. 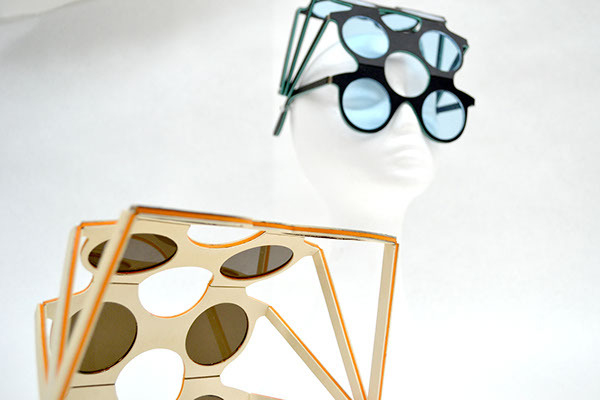 Persona Eyewear is a headpiece consisting of 8 lenses, of which only two are functional. People are constantly switching their social facades as they move through different spaces. A person might be reserved in an unfamiliar coffeeshop yet confident at a party among friends. The public self is a performance. I wanted to create an item that can communicate the nature of the multiple social facades we all own. 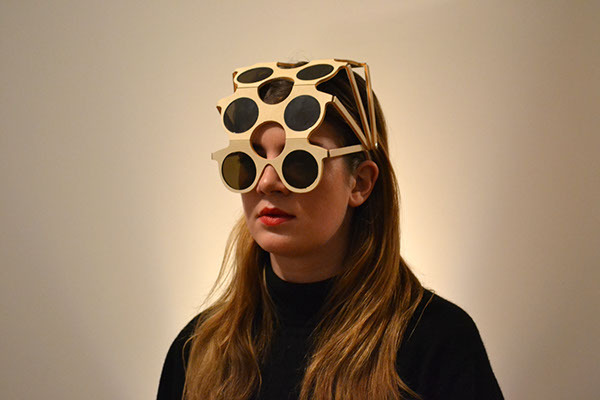 Persona Eyewear is a headpiece consisting of 8 lenses, of which only two are functional.